While gas and electric may be its bread and butter, British Gas also offers a wide variety of other domestic services – including home insurance. A firm fixture of the energy industry, British Gas is one of the UK's most established brands, supplying over 11 million properties nationwide. As such, the brand is synonymous with home life, arguably making it a strong candidate to provide your home insurance. With a history that dates all the way back to 1812, British Gas is one of the oldest active companies in the world. Continued success has translated into staying power, and the century of longevity speaks for itself. To give an idea of the brand's heritage and history, Britain was still at war with Napoleon when the company that would become British Gas (GLCC) was born. Luckily, while Napoleon's infamous short fuse may have burnt out long ago, British Gas has kept on blazing a trail deep into the 21st century. Conquering the gas and electric market, British Gas has forged a lasting legacy of its own. Today, that legacy has extended into the realms of smart meters, appliance repair and - of course - home insurance. Typical British Gas home insurance policies come in three primary forms: buildings insurance, contents insurance, and both combined. British Gas' buildings insurance covers the physical property, protecting the overall house itself, along with the fixtures and fittings within. Meanwhile, contents insurance covers the possessions that inhabit the property, from furniture and appliances to paintings and jewellery. Buildings and contents insurance naturally includes both. A typical British Gas policy for buildings and contents insurance includes theft or damage by fire, flooding and storms, as well as a myriad of other cover - such as freezer contents, garage items and replacement locks. Will I need extra insurance from British Gas? While British Gas home insurance reviews vary online, the energy giant does have a 3-star Defaqto rating for its insurance cover, proving it's certainly capable in the world of home insurance. If you have a policy with British Gas, home emergency insurance is usually covered under the umbrella of a typical British Gas home insurance package. However, depending on your needs and circumstances, certain additional cover options could be particularly useful. The supplementary accidental damage option includes a number of buildings perks, such as damage cover for drains, pipes and cables - as well as any accidental damage to fixed glass and bathroom fittings. Meanwhile, the accidental damage cover for contents includes metered water leakage, oil leaks, mirrors/glass damage and faulty electrical goods. While personal possessions cover can provide protection for a wide variety of goods, the British Gas package focuses primarily on three main areas: money, credit cards and valuables. In 2018, this covered sums of money up to £500, credit cards up to £1,000, and any single item up to £10k. So if you have a valuable family heirloom or a watch that's worth more than your car, it might be worth mulling over personal possession cover. Speaking of personal possessions, a number of the pricey personal possessions in your home may fall into the home appliance category. If so, British Gas home appliances insurance could be right up your street. There's nothing more frustrating in the kitchen than an unexpected problem with an appliance. A dodgy oven can not only ruin a good meal, it can also put a dent in you monthly pay packet. With cover starting at just £2.35 per month in March 2018, it's a minor expense that could majorly pay off. Anyone that's had their bike stolen knows how infuriating, inconvenient and expensive it can be – especially when that bike is pricey to begin with. British Gas' bike cover could see you back in the saddle in no time, with minimal effort and - more importantly - minimal expense. Similarly, garden cover protects outside items such as BBQs, patio furniture and trampolines. It also covers hard landscaping such as ponds, fountains and rockeries. Additionally, it covers outdoor items such as gardening equipment and lawn mowers, so if you spend a lot of time (and money) in the garden, extra cover could be a wise choice. Like most insurance cover, there are a number of ways to shave a few pounds off the British Gas price tag. And shopping around can save you money right from the get-go. Be sure to use the GoCompare comparison service before you make a decision – a simple search could save you money at the tap of a button. Meanwhile, ramping up the home security precaution can also pay dividends when it comes to your home insurance premium. Generally speaking, the more protected your home is, the less you'll pay on your home insurance. It's worth noting that the cost of a high-tech system may not always be recouped in the savings. However, a decent home security package could prevent the need for a claim altogether, so it's definitely worth weighing up the pros and cons. 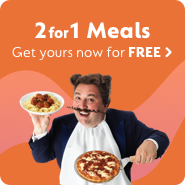 British Gas also occasionally offers freebies and incentives as a sign-up bonus, so it may be worth checking back periodically if you're on the fence about switching. A tasty deal could make the move worthwhile if you strike while the iron is hot. Meanwhile, British Gas offers a few money-saving perks for loyal customers. In July 2017, British Gas launched its own rewards scheme, including a variety of freebies - ranging from Hive Active lightbulbs to Sky Store vouchers. So if you're in the market for home insurance, could this be the beginning of a long-lasting, beautiful relationship? If so, be sure to tell Sid.